We are pleased to offer this scholarship to students whose parents are farm workers in Ventura County. The mission of House Farm Workers! 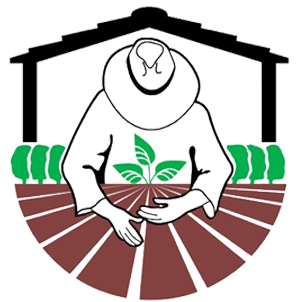 is to support safe, decent and affordable housing for farm workers through advocacy and education. Along with access to safe housing, we believe that all members of our community can benefit from opportunities for greater education. This scholarship reflects our commitment to making sure our farm worker families can thrive. The scholarship is named in honor of Ellen Brokaw, founding chairwoman of House Farm Workers! A prominent member of Ventura County’s agricultural community, involved in production of lemons, avocados and nursery stock, she has been an inspirational leader in the long campaign to improve the lives of farm workers and their families. We will award three students, $2,000 each. Winners will receive notification directly from House Farm Workers! by June 28. You must be a child of a farm worker (seasonal, retired, or injured from farm work is OK). You must be a senior graduating from high school who has maintained a minimum 2.3 GPA average and be accepted by a two- or four-year college, OR be a current college student with a minimum 2.5 GPA average. You must be available to accept the award at our “From Field to Fork” fundraising dinner on Thursday, July 18, 2019, in the Walnut Grove at Tierra Rejada Ranch in Moorpark. Each scholarship recipient will be given three tickets to the event. One letter of recommendation from a mentor, employer, teacher, advisor, resident housing manager, or coach. Your complete high school or college transcript up to the semester you are currently attending. A copy of the letter of acceptance from the college you will attend. If you are a returning student or already in college, your current transcript will satisfy this requirement. We must receive your application on or before May 3, 2019 with all required attachments. Where did you hear about the scholarship? The Scholarship Review Committee would like to know more about you. Please type your responses in the form below. The personal statement can be up to 1,000 words. Do you live in a newer, affordable housing development? If YES, what have been the positive impacts of living there? If NO, how has your current living situation affected your life and what experiences could have been improved if you had lived in a more safe and affordable housing environment? Tell us about your parents’ story as farm workers. You might include where your parents work or have worked, what their job entailed, and how that experience has affected you and your family. Provide us some examples of a significant challenge you faced, and how that influenced your life and your school experience. What are your educational and career goals, and why have you chosen this field? How will your college education affect your family? Please limit you essay to under 1,000 words. Please submit this form and then send us the required documents. Good luck!